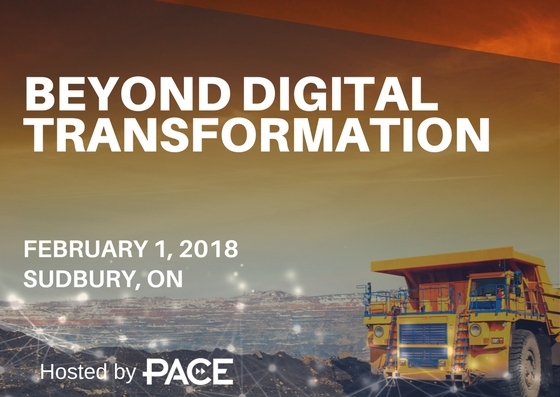 This one-day conference, to be held in Sudbury, Ontario, February 1, 2018, will bring decades of mining experience from forward thinking sector leadership together with leading edge innovative technology vendors. To ensure technology vendors develop a deeper understand of the industry needs related to meaningful digital transformation. Join us! Listen and understand the needs of global mining Leaders in achieving their digital transformation. Turn this knowledge into the ability to design and develop turn-key technology solutions that will help transform the industry. Interact with technology vendors and their products at our trade show, to understand their value proposition and their potential contribution to the transformation agenda. Meet and network with industry leaders and experts, and discuss opportunities for growth and future success.